The 38-foot Fera Mare is a 12 passenger Coast Guard inspected kayak hauler. The vessel was custom built in 1999 specifically for moving kayakers and their kayaks from the dock directly to the beach. 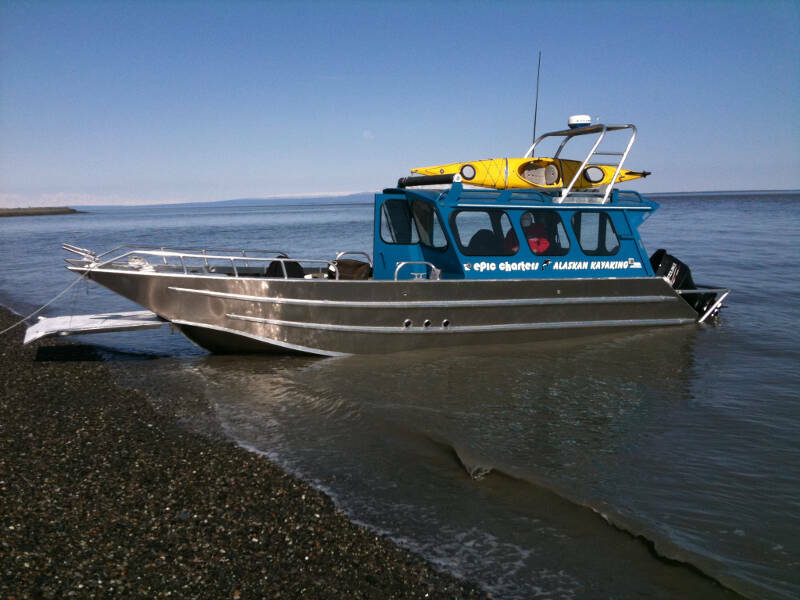 The vessel is able to land on the beach and through bow doors, passengers are able to walk out onto the beach and keep their feet dry. 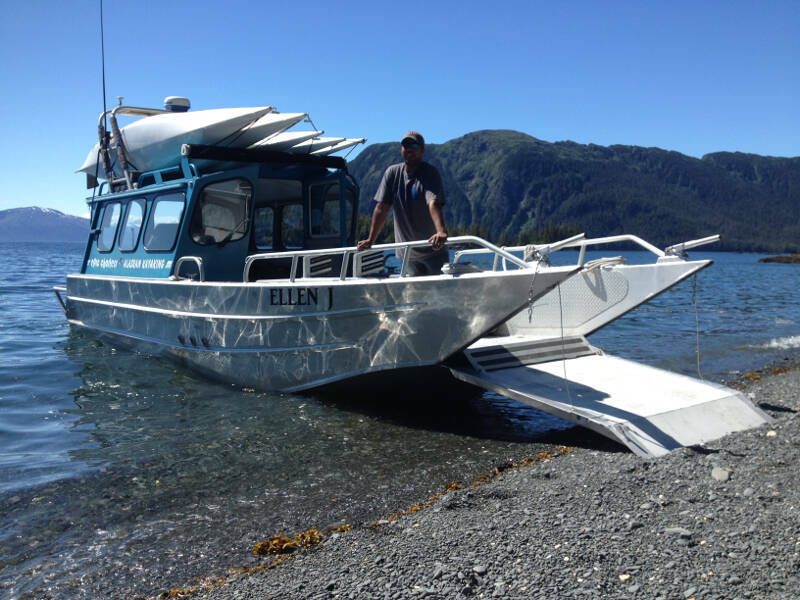 The 36 foot Ellen J is a 6 passenger custom built landing craft. Brooke built the Ellen J to be the most fuel efficient kayak hauling machine possible. The wide bow door makes beach landings a breeze. 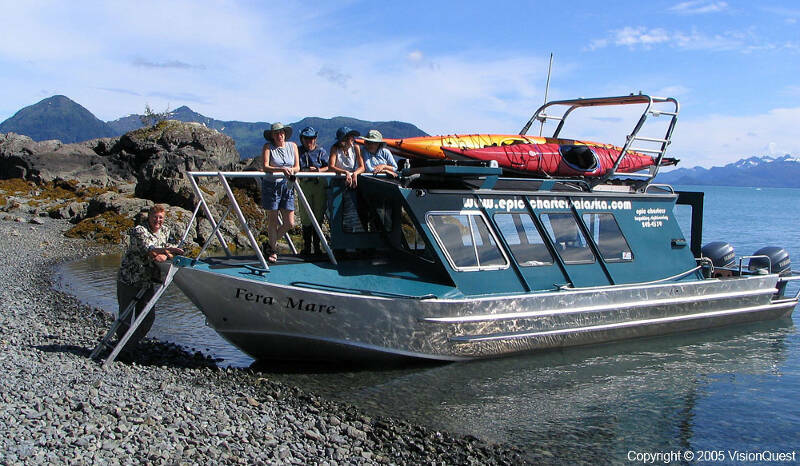 Built with Kayaking in Mind The fully enclosed and heated cabins shelter you from the elements while the large cushy seats make relaxing mandatory. The custom roof racks and padded rollers make loading and unloading kayaks a fast efficient process. Both boats are built with wheel chair access in mind so all the doors are a minimum of 36 inches wide. 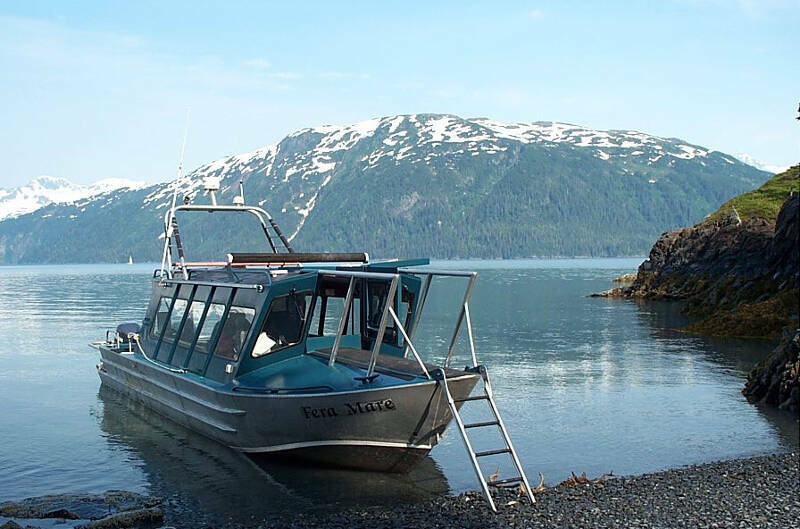 Whether you're sightseeing, kayaking, or exploring, the Alaskan built Epic Charters Boats will take care of you.